We thought it may be helpful to set out a typical timeframe for processing a tradesman’s CIS Tax Refund. Although we also complete the tax return process for PAYE tradesmen, this article is typical for CIS tradesmen. As soon as we are contacted, either by phone or our “Request a Callback” facility, we organise a pack to be sent out. The pack contains everything needed to get the tax rebate process started. In the majority of cases in order to proceed a UTR number will be required. 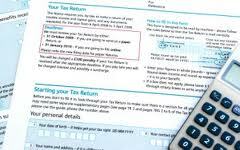 The returned application form is forwarded to HMRC as soon as we receive it. It can take between 4 – 8 weeks for HMRC to issue the UTR number. Being CIS, the claimant should have details of their earnings and this information undoubtedly speeds up the process. As soon as we receive the UTR number and the client knows earnings details, we can arrange an appointment to take relevant expense details. It takes Bettertax 24 – 48 hours to collate the information, complete the tax return and make the submission to HMRC. From the time the tax return is submitted to the tax refund being put into our bank by HMRC can take 8 – 12 weeks. During this time HMRC sometimes write to the claimant to say how much the tax refund is going to be. However, it’s worth pointing out at this stage that the money can sometimes take another 4 weeks to come through to us. Bettertax never hold tax refund money – as soon as the tax refund hits our bank, we send it on to you! These timings are an indication of what a new client can expect. If the claim is for more than one year, the tax refund may take a little longer to come through, and we can claim back tax for 4 years. As an existing client, the tax rebate process takes considerably less time, already having a UTR number and being registered with us. We hope this blog explains the procedure and also highlights that delays are never on Bettertax’s side!